Derbyshire Police has eased concerns of South Normanton residents after a Facebook post alleged that teenage girls had been “threatened by a man with a baseball bat”. South Street, South Normanton, near Brigg Infant School. The van had then been “following the girls” in the area surrounding Brigg Infant School on South Street, South Normanton. However Derbyshire Police said that the incident “was not as first reported” and that officers, who attended the original incident, had handled the situation. 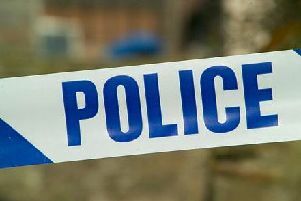 A police spokesman said: “We are aware of a post on social media about an incident in South Normanton on Friday, March 15. “Officers, who were carrying out proactive patrols to address anti-social behaviour in the area, were alerted to an incident at South Street Recreation Ground at just after 8.30pm. “After further enquiries, it’s clear that the circumstances are different to what has been circulated on social media. “A member of the public challenged a group of youths who he believed had been causing anti-social behaviour in the area. “Both parties have been spoken to, and the incident was resolved through a Community Resolution. Posting on Facebook, Samantha Stomparella Mann initially said: “Just a heads up my friend’s daughter was out with her friends tonight, she’s 14,and a transit van had been following them. “Not long after a man had chased her and her friend with a baseball bat near Brigg school. “He grabbed one of the girls and pushed her to the floor and said to her ‘do you want to play a game’ - holding the bat to her.